24 – Novak Djokovic defeated world number one Rafael Nadal 4-6 6-3 7-6 to claim the Sony Ericsson Open in Miami, his fourth title of the year. His 2011 record is now 24-0, the best start to a year in men’s tennis since Ivan Lendl had 25 consecutive victories in 1986. 9 – Total points scored by Matthew Stevens in his 5-0 defeat by Stephen Hendry at the China Open. It was the lowest aggregate score ever in a televised best-of-nine match. Hendry scored 444 points. 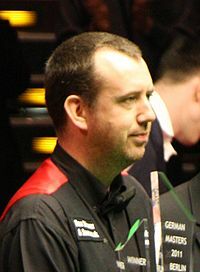 4 – Centuries scored by Mark Williams (100, 113, 104 and 137) in his China Open match against Stephen Lee. He nonetheless lost 5-4. 17 – Despite Asamoah Gyan‘s 91st-minute equaliser for Ghana at Wembley, England remain unbeaten in all 17 games they have played against African opposition, winning 11 and drawing six. 9 – Goals scored by Holland against Hungary in the space of five days. They followed up a 4-0 win in Budapest with a 5-3 victory in Amsterdam. 1 – Germany were beaten 2-1 by Australia in a friendly in Mönchengladbach. It was the first time they have ever lost a match to a nation outside of Europe and South America. 150 – José Mourinho‘s record of 150 consecutive home games without defeat as a manager ended when Real Madrid were defeated 1-0 by Sporting Gijón. Before that, his previous home loss came in March 2002 (Porto 2 Beira 3). 3 – Defending Masters champion Phil Mickelson will go to Augusta in good form after winning the Houston Open by three shots. 6 – New Zealand lost their semi-final to Sri Lanka by five wickets. It was the sixth time in ten World Cups they have reached the semi-finals, but have yet to win one. 4 – Sachin Tendulkar was dropped four times (on 27, 45, 70 and 81) before being finally dismissed for 85 as India beat Pakistan by 29 runs in their semi-final. 275 – Target set by Sri Lanka (who scored 274/6) in the final, which India successfully overhauled to make it the most successful run chase ever in a World Cup final. 103 – In defeat, Sri Lanka’s Mahela Jayawardene scored an unbeaten 103 off just 88 balls. 500 – Sri Lanka’s Tillakaratne Dilshan finished as the tournament’s highest run-scorer, with 500 at an average of 62.50. 21 – Pakistan’s Shahid Afridi and India’s Zaheer Khan finished as the tournament’s leading bowlers with 21 each after Khan claimed the wickets of Upul Tharanga and Chamara Kapugedera in the final. 14 – New Zealand’s Ross Taylor hit 14 sixes, three more than any other player at the World Cup. 4 – Kevin Phillips hit Birmingham‘s joint-fastest goal of the season in the fourth minute, as they beat Bolton 2-1. ﻿ also scored in the fourth minute of the reverse fixture at Bolton back in August. 1 – Everton were finally awarded their first penalty of the season (scored by Leighton Baines) in their 2-2 draw with Aston Villa. They were the last Premier League team to be given a penalty this season. 11 – Everton have now failed to win in their last 11 matches played on April 2nd. They last won on this date in 1938. 12 – West Bromwich Albion‘s 2-1 win over Liverpool broke a run of 12 successive league defeats against the Anfield club. 8 – Steven N’Zonzi was sent off during Blackburn‘s 0-0 draw at Arsenal. The Gunners have seen more opponents sent off (eight) in Premier League matches than any other club – and all have been straight reds. 5 – Manchester City had five different goalscorers (Adam Johnson, Carlos Tevez, David Silva, Patrick Vieira and Yaya Touré) as they thrashed Sunderland 5-0. 7 – Seven-time Tour de France winner Lance Armstrong officially confirmed his second retirement from cycling, at the age of 39. 326 – Club goals scored (in 466 games) by Brazilian striker Ronaldo, who retired last week. He also scored 62 goals in 97 international appearances. 6 – Arsenal came from behind to beat Barcelona 2-1 in their Champions League last-16 first leg match. It is the first time in six meetings the English side has beaten the Spanish champions (two draws, three defeats). 70 – Raúl scored his 70th goal in European competition as Schalke 04 drew 1-1 in Valencia in their Champions League last-16 match. 176 – Price (in pounds, including a £26 booking fee) of the cheapest tickets available for May’s Champions League final at Wembley, as announced by UEFA last week. 1 – Caroline Wozniacki won the Dubai Championships final yesterday. In so doing, she regained the number one ranking from Kim Clijsters, to whom she lost the top spot last week. 10 – Stephen Hendry equalled Ronnie O’Sullivan‘s record of ten 147 breaks in professional competition, but nonetheless lost 4-2 to Stephen Maguire in the second round of the Welsh Open. 2 – Genoa‘s comeback from 3-0 down to defeat AS Roma 4-3 was only the second time this century this has happened in Serie A. Roma boss Claudio Raineri resigned after the game. 3 – Gold medals won by Britain in Olympic events at the cycling track World Cup in Manchester. Chris Hoy won the men’s keirin, while both the men’s and women’s pursuit teams won their competitions. 20 – In centimetres, the length of the splinter which had to be removed from the calf of Malaysia’s Aziz Awang, after a crash in the men’s keirin on Saturday. 13:10.60 – Mo Farah set a new British and European indoor 5,000 metres record at the Birmingham Grand Prix. He took one second off the former European record, and ten off the British one. 370 – India‘s 370/4 against Bangladesh in the opening match of the tournament was the fifth highest total ever at the cricket World Cup. They have scored three of the five highest totals. 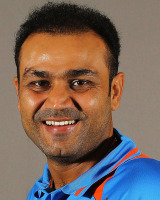 175 – Virender Sehwag hit 175 against Bangladesh. Only three players have ever scored more in a World Cup match. 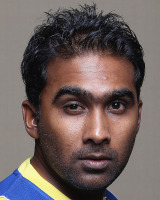 4 – Mahela Jayawardene scored 100 off 81 balls as Sri Lanka eased to an opening victory over Canada. It was the fourth-fastest century in World Cup history. 69 – Kenya were bowled out for just 69 as New Zealand cruised to an easy ten-wicket win. 16 – Brighton‘s 3-0 defeat at the Britannia Stadium meant they have failed to win in their last 16 visits to Stoke City. 6 – Crawley Town, who lost 1-0 at Manchester United, were only the sixth non-league team since World War II to reach the fifth round. None has progressed further. 5 – Leyton Orient‘s 1-1 draw with Arsenal was the first time they had avoided defeat against the Gunners in five FA Cup meetings – and only the second time they had scored. 8 – Arsenal have now failed to keep a clean sheet in their last eight FA Cup matches. They have conceded exactly one goal in each of their four matches so far in this season’s competition. 7 – Chelsea lost on penalties to Everton in their fourth round replay, having finished 1-1 after extra time. They have now lost seven of their last eight penalty shootouts in all competitions. 3 – All three penalty shootouts in this season’s FA Cup have been won by the away team.